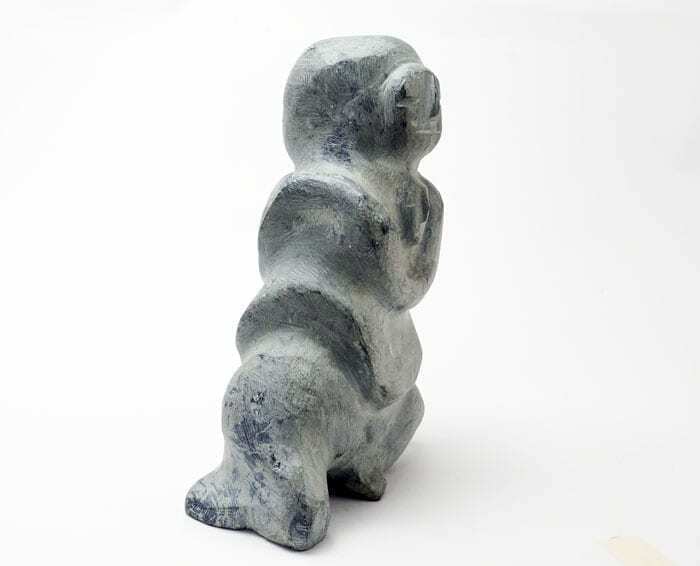 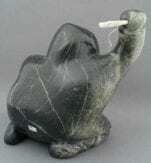 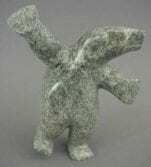 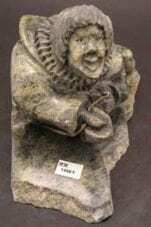 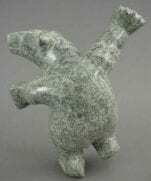 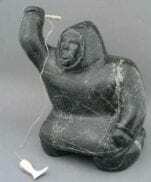 A vintage sculpture by Arviat’s Mary Ayak Anowtalik (b. 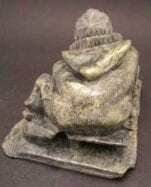 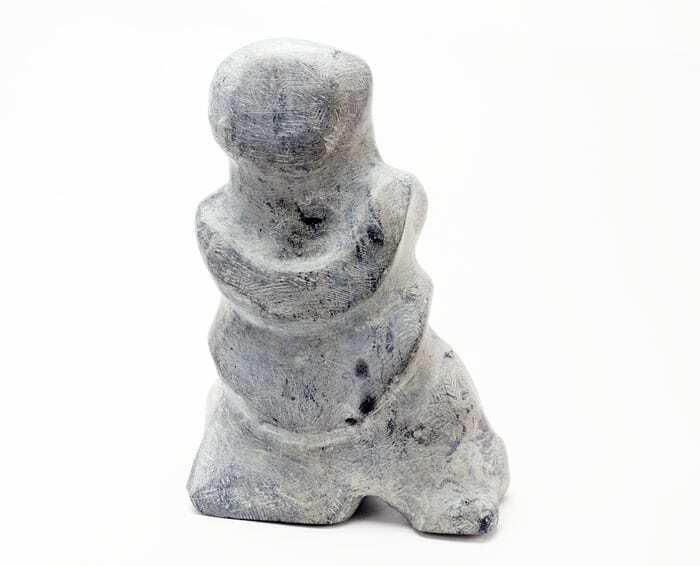 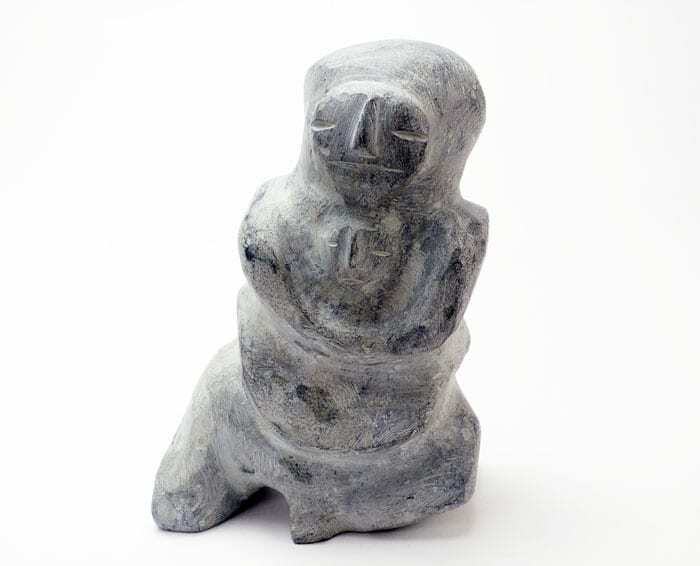 1938), portraying a mother and child with minimal detail, carved from hard basalt. Tool marks are evident, adding character to the primitive, minimalist style.